You must be aware that starting from FY18-19, every salaried person is entitled to claim a ‘standard deduction’ of Rs 40,000, which was last abolished in the Finance Act 2005. 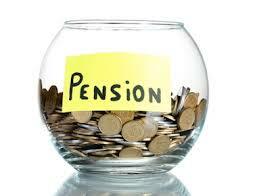 However, some people were not sure whether pensioners are also eligible for claiming this deduction. Keeping their concerns in view, the Central Board of Direct Taxes (CBDT) has now clarified that any taxpayer, who receives pension from his former employer, can claim a deduction of Rs 40,000 or the amount of pension, whichever is less, u/s 16 of the Income Tax Act. As per CBDT, the pension received by a taxpayer is taxable under the head ‘Salaries’. The Sec 16 of the I-T Act, 1961 has now been amended by the Finance Act 2018 to provide that a taxpayer having income chargeable under the head ‘Salaries’ will be allowed a deduction of Rs 40,000, or the amount of salary, whichever is less, for computing his taxable income. Accordingly, any taxpayer who is in receipt of pension will be entitled to claim this deduction, or the amount of pension, whichever is less. Are family members of pensioners also allowed to avail Standard Deduction? However, according to tax experts, while pensioners who are receiving pension themselves are eligible to avail standard deduction, their family members who are receiving pension as legal heirs are not eligible for the same. “In order to provide relief to salaried taxpayers, the Budget 2018 came up with the introduction of standard deduction of Rs 40,000, or the amount of salary received, whichever is less. This deduction shall be allowed in lieu of the present exemption in respect of transport allowance and reimbursement of miscellaneous medical expenses. Consequently the present exemption in respect of these two allowances stands withdrawn from FY18-19. However, in case of differently-abled persons, the transport allowance at enhanced rate shall continue to be available,” says CA Abhishek Soni, Founder, tax2win.in. Earlier pensioners were not able to enjoy any allowance on account of transport and medical expenses, but after this provision they will also get the benefit of this deduction. However, in case an employee passes away, then after his death the pension is received by his family members. Pension received by dependent family members of the retired individual is known as family pension and is considered as ‘income from other sources’. “For family pension, a standard deduction u/s 57(iia) is available under which an amount of Rs 15,000 or 1/3rd of the uncommuted pension received, whichever is less, shall be exempt. Spouse, children below the age of 25 years, unmarried daughter and dependent parents in certain cases shall come under the definition of dependent family members,” says Soni. For Example, if a family member receives a pension of Rs 50,000, the exemption available is least of Rs 15,000 or Rs 16,667 (1/3rd of Rs 50,000). Thus, the taxable family pension will be Rs 50,000 – Rs 15,000 = Rs 35,000. Therefore, “even after the Budget 2018, the standard deduction u/s 57 (iia) has remained unchanged, allowing maximum deduction up to Rs 15,000 only. However, we think that the standard deduction for the persons availing family pension should be raised from Rs 15,000 to Rs 40,000 to bring them on par with pensioners whose income is taxable under ‘Salary’. It would a welcome move of the Modi government if a circular / amendment is issued in this relation,” says Soni. If a person get both pension and salary.whether he can avail standard deduction on both.